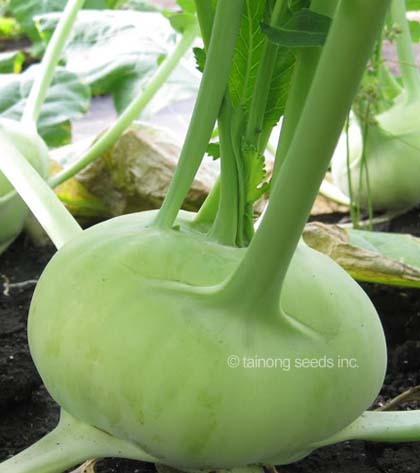 Kohlrabi 大頭菜 | Tainong Seeds Inc.
Bulbs are globe shaped, vigorous growth, large size potential. Early maturity, 50~55 days after sowing. 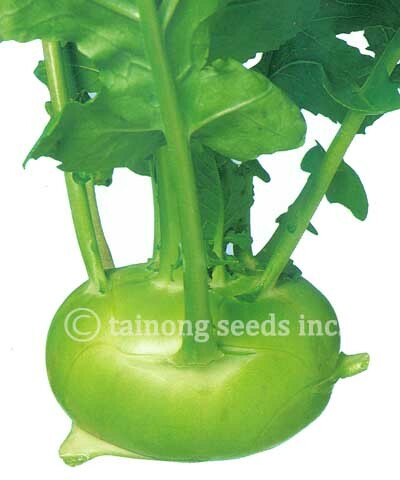 Easy to grow, suitable for early spring & autumn sowing. 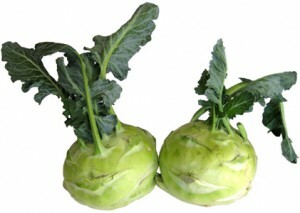 Early ~ medium maturity, 55~60 days. Semi flat bulbs are large, green, and very smooth. 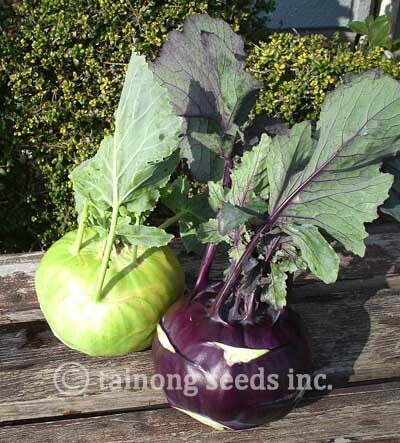 New Super large size kohlrabi, up to 10 lbs. 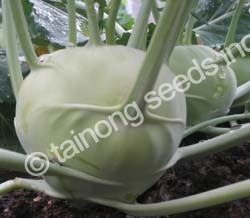 Globe shape, medium green color, easy to grow, good field holding ability & long term storage. 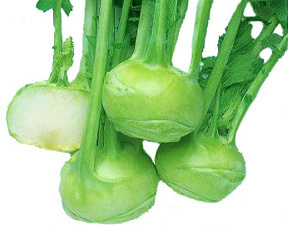 Large semi-globe, smooth green to pale green skin. Medium maturity- ~57 days after sowing.